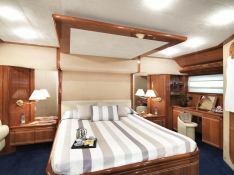 Ferretti is known for its quality of comfortable and fast yachts. 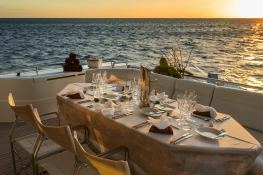 Ferretti 810 carry out this tradition with its optimized design both outside and inside allowing you to experience the beautiful lagoons of New Caledonia. 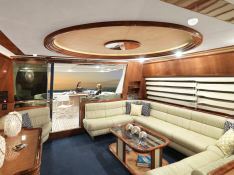 This Yacht 810 was built in 2003 by Ferretti. 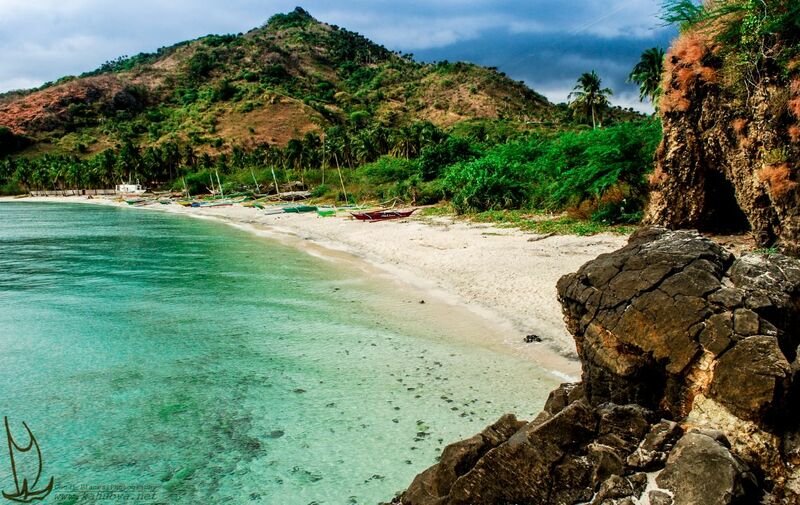 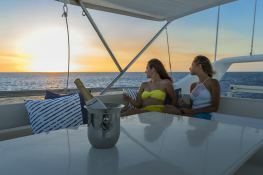 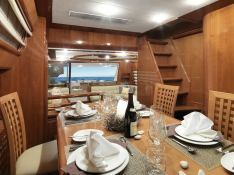 With its 3 crew members, she welcomes up to 8 passengers on board to explore New Caledonia. 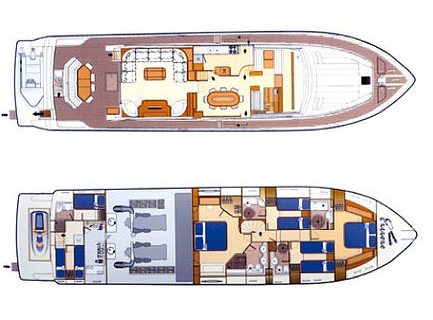 This Yacht 810 can reach a cruising speed of 20 knots thanks to its 2 powerful 1500 hp engines. 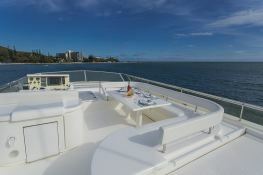 This 810 yacht available for charter in New Caledonia is fully equipped with air conditioning, equipped galley, generator, watermaker and also fishing equipment, kayak, wakeboard and CD for leisure. 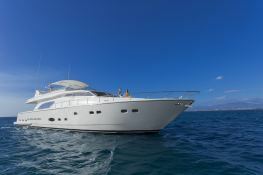 This motoryacht is available for yacht charter with a base price of 35 200 € (approximatly 39 697 $).